24/7 at Augustine House Library is coming soon! 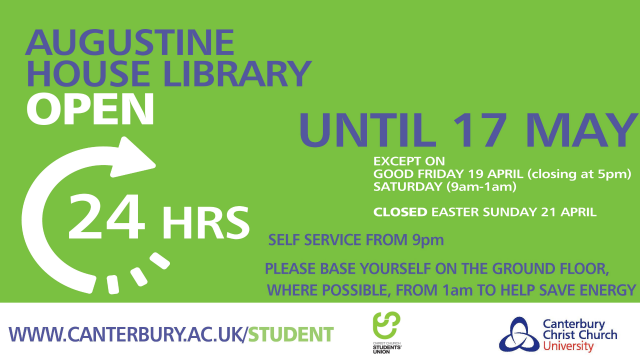 Augustine House Library will be opening 24/7 from 4 March until 17 May in order to support you in the lead up to your end of semester examinations and assessments. The only exception to these dates are Good Friday, 19 April, where the Library will only be open 9am-5pm, Easter Saturday 20 April 9am – 1pm and Easter Sunday, 22 April, where it will be closed. Out of standard opening hours, the library will operate on a self-service basis and access will be limited to CCCU staff and students. Library users will be required to swipe their University Smart Card to gain access from 6pm (weekdays) and 5pm (weekends). During this time, you will be asked to base yourself on the ground floor in the first instance, particularly on quieter nights. This will help with energy efficiency of the building and support Security and Housekeeping. But don’t worry, you can still access other floors to get books. While we appreciate everyone learns in different ways, we ask everyone to be respectful of other library users during this time and follow our code of conduct. Cannot make it to the library? 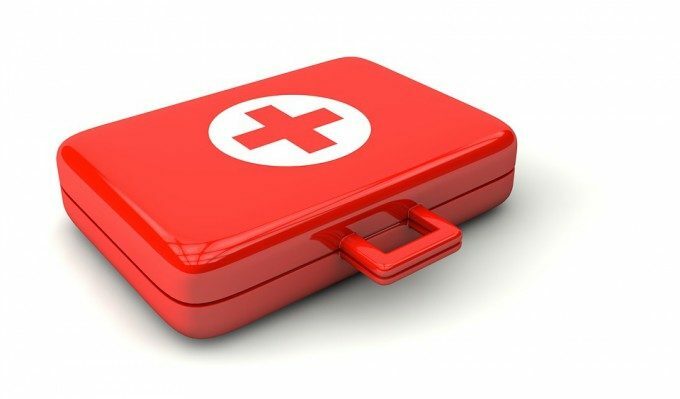 Did you know there are thousands of resources available online 24/7 from the comfort of your own home. As well as the traditional academic books and journals we have lots of modern research tools including e-books and free access to our digital media archive. All the journal articles you find using LibrarySearch which are shown as full text are available to read online off campus. Just because you can work in the Library all night does not mean that you do not need to look after yourself. So why not take a break during Chooseday Chill – every Tuesday 5-7pm at Augustine House. 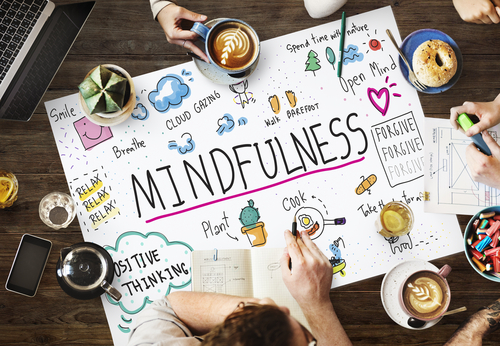 And look out for our #StressLess programme of activities launching on 18 March which will provided you with a chance to take a break, unwind and recharge as well as get academic support. CCCU Sports are offering a new free StudyFit programme for any students who are feeling low or struggling, so why not get some quality time away from the Library and discover ways to keep yourself mentally and physically fit. Finally, remember if you are worried about your exams or assignments there is plenty of support available through our Support, Advice and Wellbeing teams, as well as The Big White Wall and Canterbury Nightline services.